When Taylor Swift and Calvin Harris split up last week, the news rocked the internet. The pair had been together for 15 months. But it turns out, Harris really misses Swift’s cats, so much so that she is allowing him visitation rights. That’s right, Swift’s cats Dr. Meredith Grey and Detective Olivia Benson surely made quite the impression on Harris, though additional details about the exact visits have not yet been released. 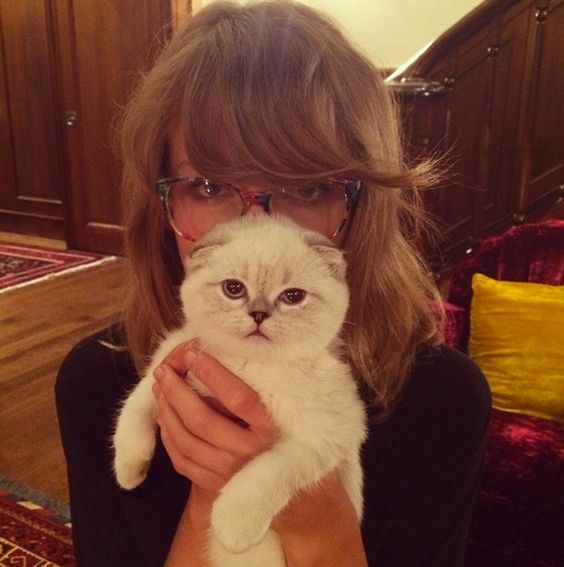 It’s a well known fact that Swift adores her cats. She takes them everywhere with her, and frequently posts photos of them online. These are perhaps two of the most pampered cats ever. Harris documented his cat sitting adventures through Snapchat and grew attached to the feline duo. Breakups are painful, but they’re even more difficult when pets are involved. Here’s hoping that Swift and Harris can come up with an arrangement that works for everyone.